So the 2016-2017 PGA Tour season has begun and we are a couple tournaments late getting our 2017 PGA Tour Sleeper Picks article out but nonetheless here it is! Every year we look at players that either season long fantasy golf players can use for their teams or if you are playing Daily Fantasy Golf at sites like DraftKings or a new up and coming fantasy site like PlayOn you can focus on these guys that would be a lower cost salary cap option. We are affiliate partners with DraftKings, read further down the page for more details. Both DraftKings and PlayOn offer European Tour fantasy golf games as well so you are covered no matter which Tour you like to play. If you are from the UK and want to join DraftKings, click the UK DraftKings link to play there. The list of 2016-2017 PGA Tour Sleepers also list so of the top 2017 PGA Tour rookies that are going to have a great season. Last year’s page had Patrick Rodgers, Patton Kizzire and Rookie of the year Emiliano Grillo who just tore it up all year. 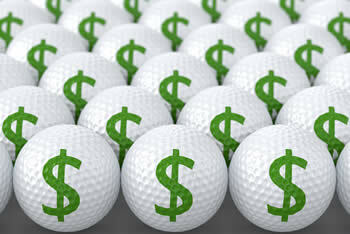 Enjoy the Fantasy Golf Season and good luck! Join PlayOn and play in both PGA Tour Fantasy Golf Games for real money and they are also the Official Daily Fantasy Partner for the European Tour. Patrick Rodgers – We had Rodgers on our list last year and he delivered - we expect even more from him in 2017. Had a great beginning to the year and then faded a bit so this year we see him cashing in some more Top 10 checks. Rickie Fowler – Fowler completely underperformed last year and has too much talent not to be a top PGA Tour player. He still is young and has the game to win a major so 2017 will be a bounce back for him. Jim Furyk – Furyk was hurt most pf last year and then returned quickly to show that he still is a top golfer. In a season long golf league he is a great salary price and when the majors start to come, make sure you get him into your DFS lineups! Bill Haas – Had a bit of a down year last year but should bounce back and be a contender in all the tournaments he plays in. Has a history of making cuts making him a great pick for your DraftKings PGA Birdie Lineups. Keegan Bradley – Can he get any worse? Bradley has been in a freefall the last couple of years. He is in his final year of exemptions so he may play more this year. If he can’t do it in 2017…it may never happen. Jon Rahm – This guy is going to be good. Get him for your team and use him in DFS golf lineups especially in the early going where you can take advantage of his low cost. Could be the PGA Tour Rookie of the year in 2017! Wesley Bryan – One of the new rookies on the PGA Tour Bryan is a 3-time Web.com champ in 2015 and was the season-long money list leader. He will play in a lot of tournaments this year and will make over $1 Million in earnings easily. Cheng Tsung Pan – Also known as CT Pan, The Rookie has already played in 4 majors. Pan finished the Web.com Tour year with seven top-10 finishes in 22 starts and will be a force on any tour that he plays in this year. Ollie Schniederjans – A lot of people are high on Schniederjans and earned his card finishing 6th on the Web.com Tour. In DFS lineups you'll want to target him as a low cost Sleeper Pick in tourneys that don’t have big names playing. Grayson Murray – Another Rookie from the Web.com Tour who had some success. Rookies try to play a lot of tourneys to try and cash in early so look for Murray to be around a lot. Tiger Woods – He is scheduled to play his first tournament at the Hero World Challenge. He was originally supposed to kick off his year at the Safeway Open but postponed it until the Hero World Challenge. If you listen to Tiger Woods speak you would think that he is all systems go and plans to continue his assault on the majors record. If you follow golf at all you will also know that Tiger Woods has been a horrible golfer for quite a while now. So which Tiger Woods will show up in 2017? If you are in a season long league I would stay away. If you are looking for a spot start in the occasional DraftKings lineup then maybe he’s worth a play under the right salary cap price. I would proceed with caution until you gather some data on his golf game. If you are already a player at DraftKings and have joined PlayOn, check out the other Top Fantasy Golf Sites and take advantage of their fantasy golf contests and FREE Bonus Contests and Offers. The 2017 PGA Tour Fantasy Golf will have people winning Millions of Dollars - use our list of Sleeper Picks and top PGA Tour Rookies to be one of those people!